In the wake of yesterday’s horror show, Chelsea fans have been reaching out wherever they can for comfort. 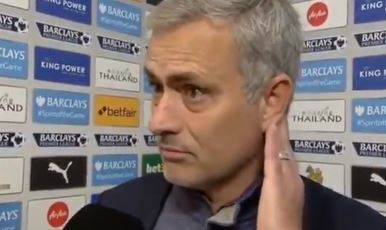 One odd thing they’ve come across is this video of Jose Mourinho in his final post match interview at Stamford Bridge, where he references some players not pulling their weight. Of course he doesn’t reveal exactly who he’s talking about – presumably he was still hoping to keep his job at that point – but it’s pretty clear who the overlaps are between that season and this one. Was this Jose’s final warning to the club before he was ditched?